When you visit Lindsay Lane Baptist Church you will be greeted by a loving people in a friendly atmosphere. While you will not find perfect people, you will find a people who love the Lord and who desire to grow and mature in their spiritual lives. We welcome you wherever you are in your spiritual walk. If you have never trusted Jesus Christ as Savior, our hope is that you would grow into a deep understanding of His love for you, come to a personal relationship with Him, experience real life change by maturing in Him, and use your gifts and talents in service to God. Our desire is also to encourage one another to grow in fellowship and service with other believers. We offer a variety of events and ministries to help you do this. We would love to meet you — and have you grow with us! AWANA Clubs (Children’s Ministry) — “Come, you children, listen to me; I will teach you the fear of the LORD” (Psalm 34:11, NKJV). Fun and Games are just the beginning at AWANA. Our children also learn about the incredible love of God. Our AWANA Clubs meet each Wednesday evening (August through April) at 6:15 PM. Upcoming special events include Closing Program on Wednesday, April 24th. Following the Closing Program, our AWANA Clubs will be on our annual break until August 21st. Youth Group (Grades 3 through 12) — “Let no one despise your youth, but be an example to the believers in word, in conduct, in love, in spirit, in faith, in purity” (1 Timothy 4:12, NKJV). Does the Bible have answers to your questions? Come hang out and we’ll grab a snack and talk about it. Activities, friends, and more! Our Youth Group meets each Sunday evening from 5:00 until 7:00 PM. Upcoming special events include our Mexican Food Night on May 5th. Join us for this evening of food, fun, and fellowship! Music and Praise Team (Music Ministry) — “Oh come, let us sing to the LORD! Let us shout joyfully to the Rock of our salvation” (Psalm 95:1, NKJV). Come make a joyful noise to the LORD! Use your musical gifts and talents for Praise and Worship! Our Praise Team assembles for practice prior to Sunday school and at a monthly rehearsal. Heart-to-Heart (Women’s Ministry) — “They admonish the young women to love their husbands, to love their children” (Titus 2:4, NKJV). Our women’s ministry encourages ladies in their Christian walk and leads them to embrace their hope and identity in Jesus through worship and study. We meet at various times and for various activities throughout the month. The Forge (Men’s Ministry) — “As iron sharpens iron, so a man sharpens the countenance of his friend” (Proverbs 27:17, NKJV). Our men’s ministry has as its goals the challenging of men to lead with integrity, mentoring with accountability, and growing in authenticity. Our next meeting will be Friday, May 3rd at 7:00 PM. Join us for a meal, fellowship, and as we challenge each other with the Word of God. Saints Alive (Seniors’ Ministry) — “They shall still bear fruit in old age; they shall be fresh and flourishing” (Psalm 92:14, NKJV). Our senior adult ministry provides a robust schedule of activities and opportunities for fellowship to serve our seniors and equip them for service. Our next monthly pot-luck meal and devotional will be on Tuesday, May 14th at Noon in our church’s Fellowship Hall. Soccer League (Sports Outreach Ministry) — “Do you not know that those who run in a race all run, but one receives the prize? Run in such a way that you may obtain it” (1 Corinthians 9:24, NKJV). Our goal is to see our League players develop not only athletically, but also mentally, spiritually, and socially, into youth who excel both on and off the field. Registrations and player evaluations take place in July; practices begin in August; and games start the last week in August (through October). Click here for complete details. 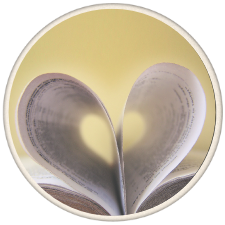 McCurdy School Ministry (School Outreach Ministry) — “Let each of you look out not only for his own interests, but also for the interests of others” (Philippians 2:4, NKJV). Our partnership with our local elementary school is a crucial part of our community outreach featuring activities throughout the school year. Sports Camp — “Train up a child in the way he should go, and when he is old he will not depart from it” (Proverbs 22:6, NKJV). 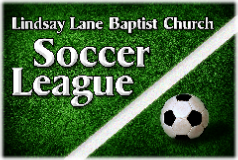 At Lindsay Lane Baptist Church our Vacation Bible School takes on a sports theme! Join us for our annual Sports Camp where kids will learn about Jesus, engage in various sports, make crafts, and create lasting relationships with other children and our leaders! This year’s Camp will be June 24-28 from 6:00 to 9:00 PM and is open for children from ages 5 through 12. Click here for complete details.